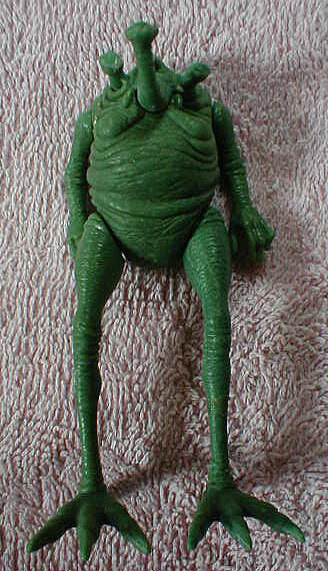 It may look like some alien out of Men in Black but Kenner Star Wars collectors will recognize this immediately as Sy Snootles. 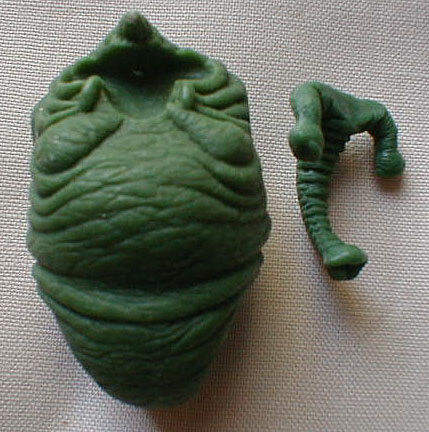 This is a hardcopy of the figure, meaning it's made of a hard urethane material (called Dynacast). The piece is entirely handmade, each part having been created by someone pouring the liquid urethane into a silicone mold and allowing it to harden. Here's a shot showing all the pieces separated from each other. As you can see, the thing is almost like a puzzle, primarily because that snout comes right out of the forehead area. 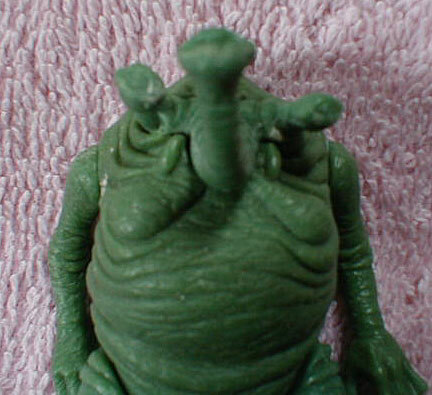 If you look at a production Sy figure, you'll notice that the snout is indeed made from a separate piece of plastic. You'll notice that the pegs, which typically are used on hardcopy figures to affix the limbs and head to the torso, are not present here. I use some sticky wax to keep the parts together in one piece. A closeup of the head with the snout piece removed. C'mon, Droopy, come here and make 'ol Sy feel like a woman. Sorry, couldn't resist. Sort of reminds you of that horrible closeup of the CG Sy from the Special Edition, doesn't it? Anyway, you can really see the detail of this thing in a closeup like this. 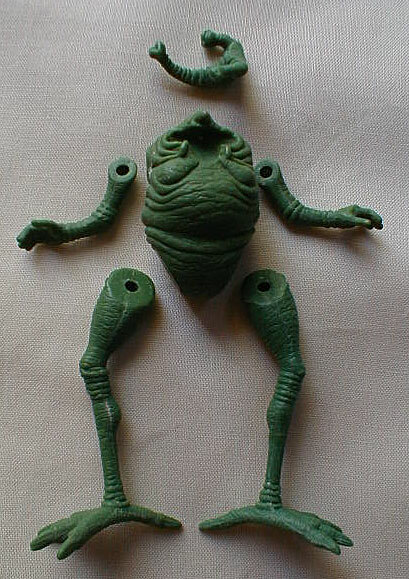 Unfortunately, the urethane is also quite brittle; the previous owner broke parts on this figure a couple of times and was forced to glue them back together.